"A Perfect Choice.. As others have said in this book, this is the perfect 'home away from home..' May 2013 guests from California. "We have been travelling for the past three summers and this is by far the best home we have found away from home.." June 2013 guests from Florida. "What a delightful introduction to Edinburgh for grandma, mom, dad, and two boys. The flat is every bit as cute, well furnished and comfortable as the internet description and we felt totally at home"... June 2013 guests Oregon, USA. "We had such a fantastic time here in Scotland your apartment was the perfect place for us to stay over last 4 days" Thank you for the hospitality we love it here! Arizona guests July 2013. "Love the apartment, would stay here anytime. Great locations and perfect for short or long stay". August 2013 guests from B.C. Canada. "This place was amazing! Always great to come back to after a long day!" October 2013 guests from England. "Thanks for all the lovely Christmas touches. our second time renting with you - we so enjoyed the villa last time too). 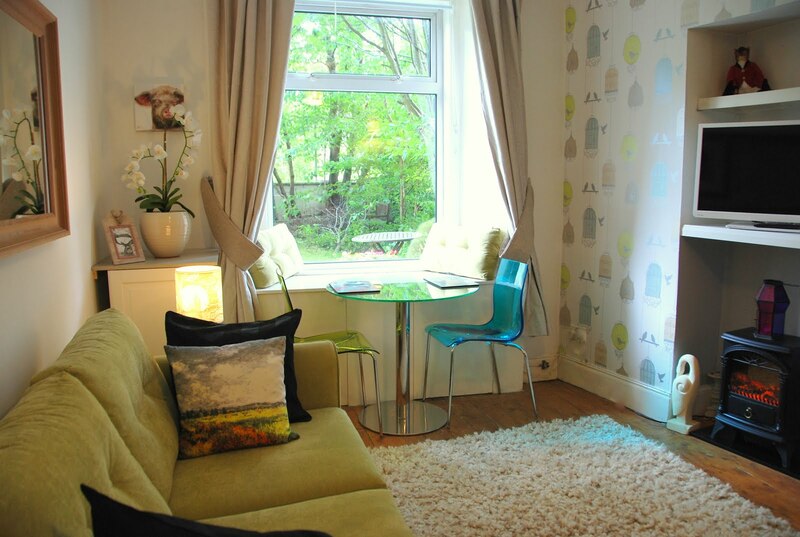 The flat is wonderful, lovely decor, clean and everything you need for a short stay"... Christmas guests from Norway.